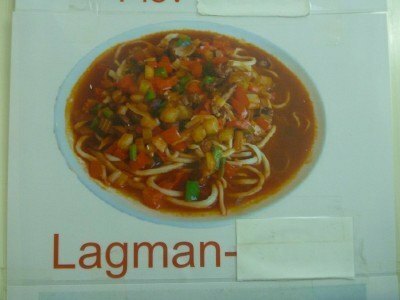 I had heard about a food called Lagman and never tried it until 2015, strangely I’ve now eaten it about 10 times! 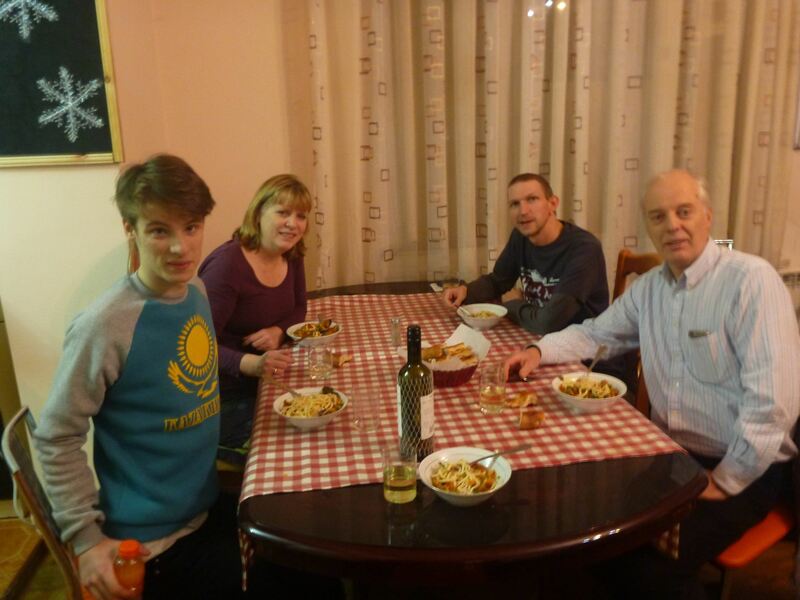 At the Almaty Backpackers in Almaty Kazakhstan, my hosts here Ginara and Rahat cooked it for us on the last night before I crossed the border into Kyrgyzstan. There was myself and Oliver from England trying the Lagman. 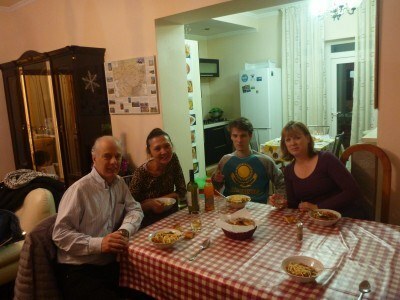 Plus Oliver’s parents Jessica and Mark. I watched the process of cooking the Lagman down to the serving of it. You get the noodles and you add to it carrots, tomatoes, beef and a tangy sauce. In fact, there are different things you can add to it depending on the region. Some are served as a soup, and others are less watery. 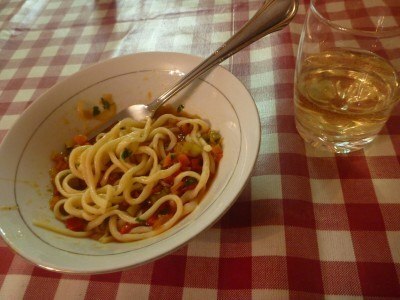 We ate it together in the hostel and I had some white wine thanks to Jessica. 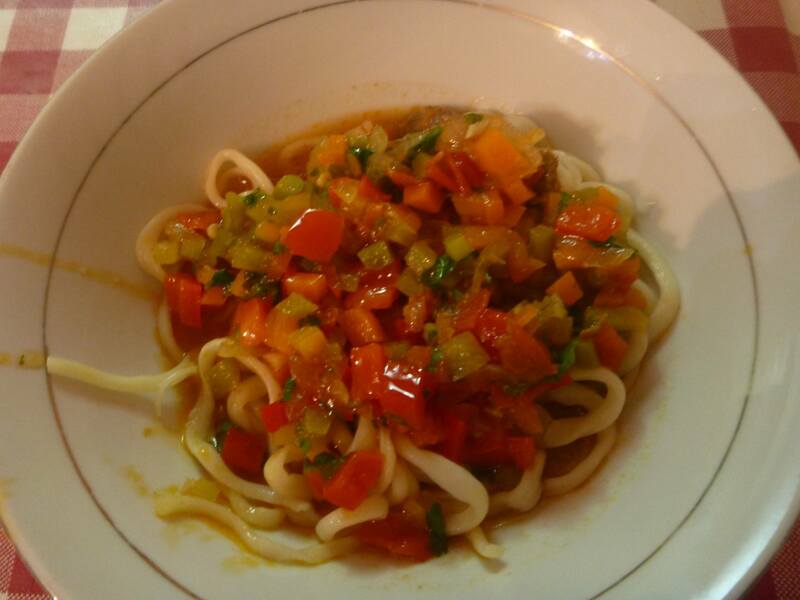 Later on my travels as I toured northern Kyrgyzstan, I ended up eating Lagman regularly and all different types of Lagman! 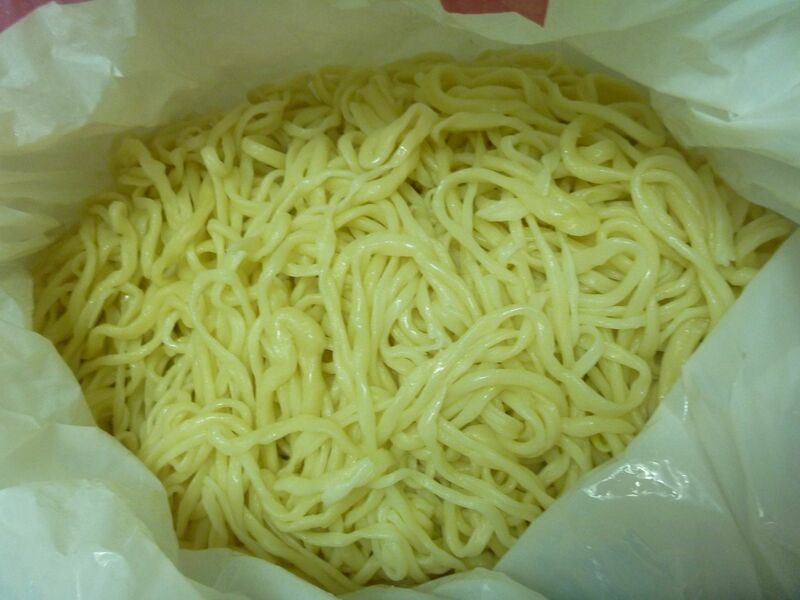 The dish seems to originate from China, but in Central Asia the dish has thicker noodles. The noodles are made from stretching dough. 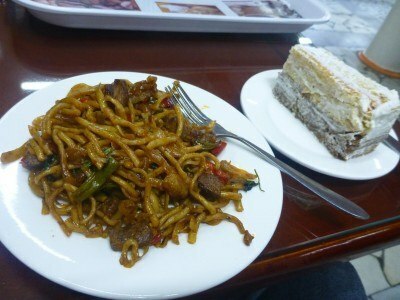 The Chinese word Lamian, is known as läghmän or lägmän (لەڭمەن) in Uyghur and lag’mon (лағмон) in Uzbek, both derived from the Chinese word lamian. It is especially popular in Kyrgyzstan and Kazakhstan, where it is considered a national dish of the local Uyghur and Dungan ethnic minorities. These are the first two countries I have tried Lagman in. 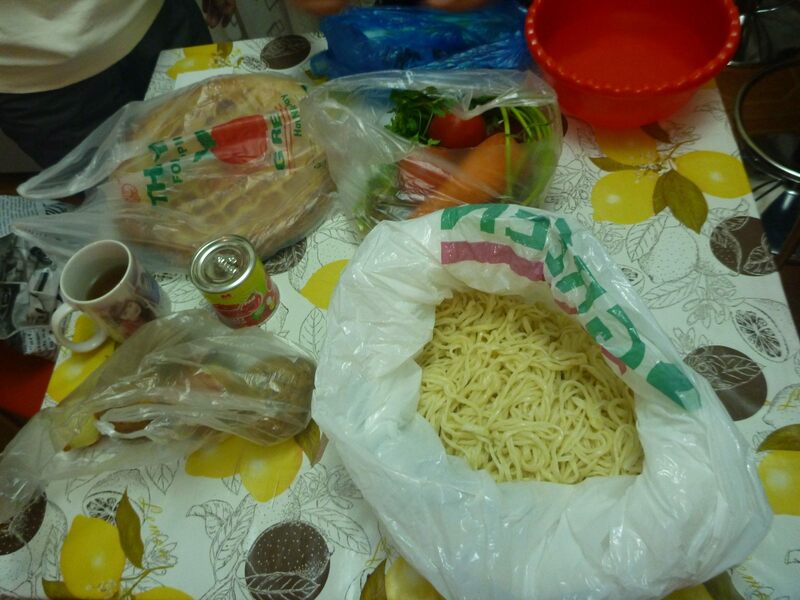 This entry was posted in Almaty, Central Asia/Middle East, Daily Features, Friday's Featured Food, Kazakhstan. Bookmark the permalink. Hi Jonny! I have seen lagman food item of Kazakhstan. Do u like very much? I think u took full of taste. Thanks.